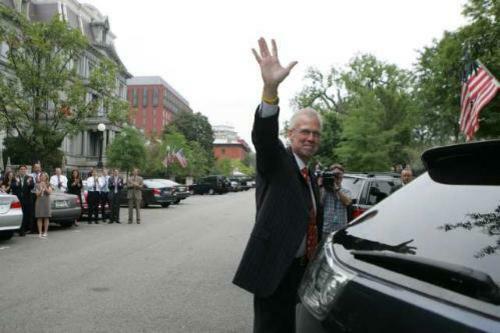 Snow joined FOX in 1996 as the original anchor of “FOX News Sunday” and hosted “Weekend Live” and a radio program, “The Tony Snow Show,” before departing in 2006. “It’s a tremendous loss for us who knew him, but it’s also a loss for the country,” Roger Ailes, chairman of FOX News, said Saturday morning about Snow, calling him a “renaissance man”. This is the week that should have effectively ended John McCain’s efforts to become the next president of the United States. But you wouldn’t know it if you watched any of the mainstream media outlets or followed political reporting in the major newspapers. During this past week: McCain called the most important entitlement program in the U.S. a disgrace, his top economic adviser called the American people whiners, McCain released an economic plan that no one thought was serious, he flip flopped on Iraq, joked about the deaths of Iranian citizens, and denied making comments that he clearly made — TWICE. All this and it is not even Friday! Yet watching and reading the mainstream press you would think McCain was having a pretty decent political week, I mean at least Jesse Jackson didn’t say anything about him. 1. McCain unambiguously called Social Security “an absolute disgrace.” This is not a quote taken out of context. John McCain called one of the most successful and popular government programs, which uses the tax revenues of current workers to support retirement benefits for the elderly “an absolute disgrace.” This is shocking – and if uttered from Obama’s mouth would dominate the news coverage and the Sunday shows, as pundits would speculate about the massive damage the statement would cause him among retirees in Florida. 2. McCain’s top economic policy adviser calls Americans a bunch of “whiners” for being worried about the slumping economy. 3. Iraqi leaders call for a timetable for U.S. withdrawal, McCain gets caught in a bizarre denial and flip flop. The Iraqis now want us to begin planning our withdrawal – McCain however wants to stay foooorrreeevvveerrrr. So what does McCain say – First, he refuses to accept Maliki’s statement as being true. Then he concedes that it was an accurate statement, but was probably just a political ploy to curry favor with his own people and WOULD NOT influence his determination to keep US troops in Iraq indefinitely. Yet, McCain in 2004 at the Council on Foreign Relations said that if the Iraqis asked us to leave, we would have to go. No matter what. But that was apparently a younger and less experienced John McCain. But let’s just look at his comment that Maliki’s statement is “just politics.” If that is true, then it must also be true that the American military presence in Iraq is so unpopular with Iraqis that the government is forced to push for a timetable in order to survive at the ballot box. That’s a reason to stay for 100 years. 4. McCain’s economic plan to cut the deficit has no details and is simply not believable. There are so many things here. McCain pledges he would eliminate the deficit by the end of his first term (the campaign latter flip flop flipped about whether it was four years or eight years), but does not provide any details about how he would do it. 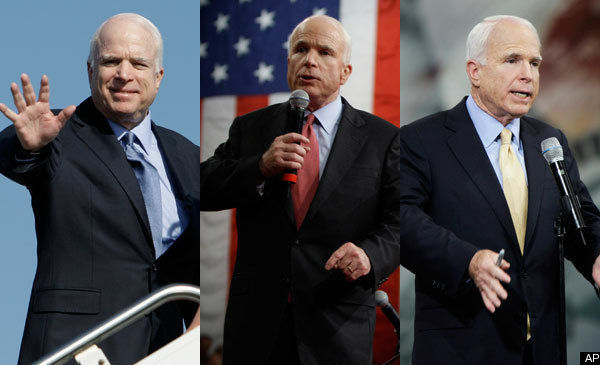 Economists on both sides of the political aisle said that this was simply not believable, especially given McCain’s other proposals to a) cut individual and corporate taxes even further, b) extend the Bush tax cuts and c) massively increase defense spending on manpower (200,000 more troops) and d) maintain a long-term sizable military presence in Iraq. 5. McCain’s deficit plan includes bringing the troops home represents a major Iraq flip-flop. Speaking of the long-term military presence – a story that has gotten absolutely no attention is that McCain now believes the war will be over soon. The economic forecasts made by his crack team of economists predict that there will be significant savings during McCain’s first term because we will have achieved “victory” in Iraq and Afghanistan. The savings from victory (ie the savings from not having our troops there) will then be used to pay down the deficit. The only way this could have any impact on the deficit in McCain’s first time is if troop withdrawals start very soon. So McCain believes victory is in our grasps and we can begin withdraw troops from Iraq pretty much right away — doesn’t sound that different from Obama’s plan does it. Someone should at least ask McCain HOW HE DEFINES VICTORY – and why he thinks we will achieve it in the next couple of years. 6. McCain campaign misled about economists support. In the major press release the McCain campaign issued to tout its Jobs for America economic plan that would balance the budget in 4 years, it included the signatures of more than 300 economists who the campaign claimed to support the plan. Only problem is that the economists were actually asked to sign up to SOMETHING COMPLETELY DIFFERENT. Um, hello? 7. McCain makes a joke about killing Iranians. Haha… that’s just McCain being McCain. I am sure that is exactly how it is being reported in Tehran. This guy is running for President not to become a talk radio pundit. Yet according to the AP this was just a humanizing moment between candidate and spouse – I am not sure when joking about the deaths of civilians became humanizing. 8. McCain denies, flatly, that he ever said that he is not an expert in economics. Are you kidding? Any one of these incidents and comments would dominate the news cycle if they came from the Obama campaign. Yet McCain barely gets a mention. The press like to see themselves as political referees – neutral observers that call them like they see em’. But they want this to be a horse race and so all the calls right now are going one way. How else can you explain the furor last week over the Obama “refine” comment – which represented zero change in Obama’s position on Iraq – and the “swift boat” mania over Wesley Clark’s uncontroversial comments (psss… by the way McCain exploits his POW experience in just about every ad – yet he says he doesn’t like to talk about it). Imagine, if you will: A time in the future where a totalitarian government allows the airline companies to force each customer to wear ID bracelets that not only identify you, has all of your personal information (in barcode of course, and…allows a stewardess to tase you if she deems that you are being unruly. According to this letter from DHS official, Paul S. Ruwaldt of the Science and Technology Directorate, office of Research and Development, which was written to the inventor whom he had previously met with, Ruwaldt wrote, “To make it clear, we [the federal government] are interested in . . . the immobilizing security bracelet, and look forward to receiving a written proposal.” Continued HERE including updates. 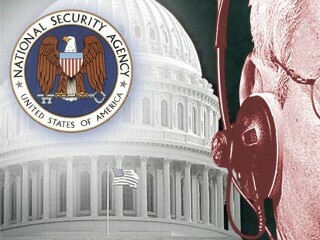 Bowing to President Bush’s demands, the Senate sent the White House a bill Wednesday overhauling bitterly disputed rules on secret government eavesdropping and shielding telecommunications companies from lawsuits complaining they helped the U.S. spy on Americans. Watch a video about the money trail surrounding the bill from the American News Project. Read more about the bill here. Video explaining the telecom immunity aspect of this bill. I remember back in 1984 when Jesse Jackson ran for president. I remember when he came to my home town of New York City. At that time, he spoke to a reporter “off the record” and called MY hometown “Hymie Town“. Jackson was never able to live that comment down. Now we hear that while appearing on a Fox News show, Jackson once again suffered from hoof in mouth disease by saying that Obama is talking down to African Americans. There was more. You can see the video below with the entire content of his remarks. My problem with Jackson is that he sounds more like ‘sour grapes’ than a man defending the African American constituency. In my opinion, Jackson has been a self promoting, attention grabbing loser for a long time. To see someone like Barack Obama come out of nowhere and seeing tens of thousands of people coming to his rallies, must be an ego buster for Jackson. The funny thing is there are so many people who dislike Jackson immensely, but because of their even more intense dislike for Obama, they have actually come out praising Jackson for his “candor”. Whatever the Rev. Jesse Jackson Sr. said in a live microphone on Fox News, it was really, really bad, and none other than his own son seems to know it. 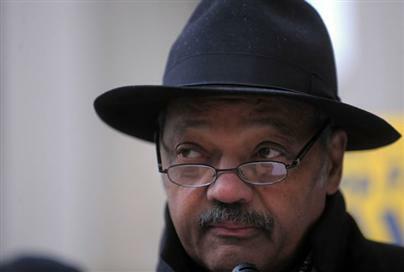 “I’m deeply outraged and disappointed in Reverend Jackson’s reckless statements about Senator Barack Obama. His divisive and demeaning comments about the presumptive Democratic nominee — and I believe the next president of the United States — contradict his inspiring and courageous career,” wrote Rep. Jesse Jackson Jr. (D-Ill.), an Obama campaign co-chairman, in a statement sent out after word began spreading that his father had said something crude and deeply offensive. Today the House Judiciary Committee questioned former Vice Presidential counsel David Addington and the chief architect of the “torture memos” about torture and the “unitary executive theory” concept. 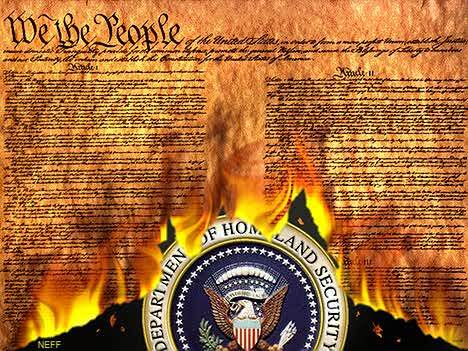 The unitary executive theory “asserts that all executive authority must be in the President’s hands, without exception.